Canadian Greenfield Technologies Corp. 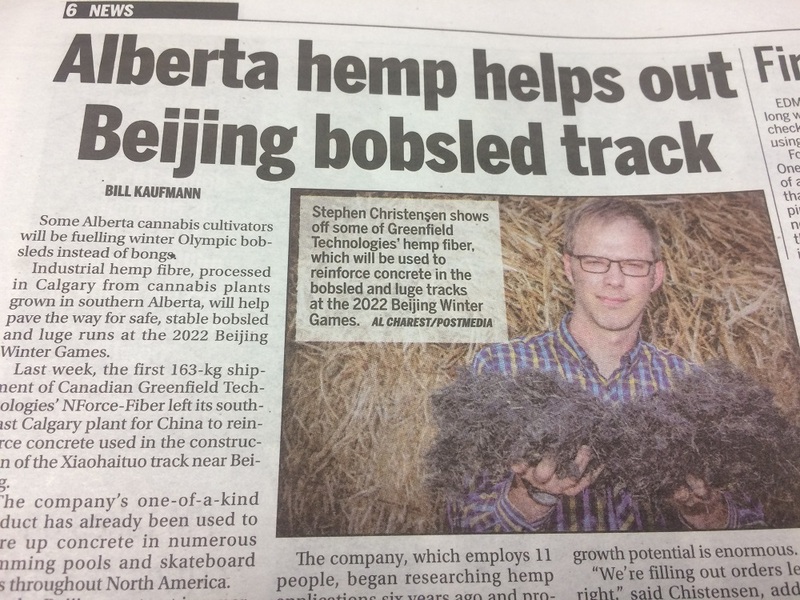 Featured in Canadian Newspapers – Canadian Greenfield Technologies Corp.
We are excited to share that we recently had an article written and published in the Calgary Sun, Calgary Herald and Edmonton Journal; including a front page story in the Calgary Herald. The article, featured in both digital and print formats, is an interview with our Vice President about NForce-Fiber® is being used to construct the 2022 Olympic Bobsleigh Track! Stay up to date with news, product announcement and promotions. Follow us on Instagram, Facebook and LinkedIn.